This is one of my favorite challenges and I got it from Carl's originally posted by cndneh (who has been inactive for a year+). The original topic can be found here. This is entirely their ruleset (that I'm aware of, unless they took it from someone else and didn't specify) and I'm just putting it here to spread the love! I don't play much of the other games in the series, but I know this challenge works for the Sims 3 - I can't say if it would for the others. I know with the Sims 2 you'd need an age mod, and with the Sims 4... they may have age sliders? Anyways, let's get onward to the rules! All the other categories are up to personal preference but once they are set you cannot change them! 2. Edit town is off limits once the game is started; however you may add new lots before placing down your Sim, and you may edit any towns that do not have libraries with the appropriate skilling bookshelves. A consignment store is highly recommended if you have Ambitions as the self-employed careers can pay out a lot more that way which earns you more money in less time! 3. Mods and CC are up to the player. This challenge is meant to be fun, and while I'd love to say "don't use it if it gives you an unfair advantage" I feel it's more important people have fun. If you know you'll get bored without a challenge, maybe avoid the cheaty mods/items in the game. To piggy back off this (as there wasn't one in the original rules) I'm going to go ahead and say all store content is fine should the player deem they want to use it. Again, this is just meant to be fun, not the be-all-end-all challenge! 4. Traits are to be completely random and the lifetime wish is to be chosen from the 5 given, not the sixth "anything goes" option. This goes for heirs, spares, and any time you're given a choice on a trait (including traits from degrees and social groups). Any mods, cheats, or items that do these things are "banned" as well, on the same grounds as rule number 3. If it gives your sim extra life and you're aware of it when you do it, then consider it banned. Given the spirit of this challenge, I think this rule is very important so I would consider it the exception to number 3's "just have fun and use whatever necessary to have fun" rule. 7. 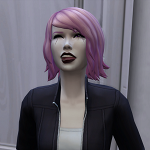 You will start your game with a single sim made in Create-A-Sim on the "legacy" lot. No townies or pre-skilled Sims! The "legacy" lot is any lot that is either 60x60 or 64x64. Essentially, it's the biggest lot. If you want to be in the spirit of the challenge you can even go so far as to lower your funds down to typical legacy level ($1,300). Your family MUST remain on this lot for the duration of the challenge - no moving! 8. Vacations are allowed, however they are restricted to 9 days per sim. There is no vacation day roll over, if the Sims do not use all 9 of their days, then those days are gone. SAVE very carefully before going on vacations, especially in the later generations! No boarding school allowed! 9. Pets are allowed and playable occults are also allowed so long as they have the "normal" human lifespan. So Witches, Ghosts, Imaginary friends and any other lifestate that doesn't get a boost to their life expectancy are allowed; genies, fairies, vampires, and werewolves are not allowed. The original rules said something about NPC ghosts being allowed to haunt, but that seems redundant. You cannot control being haunted! 10. The heir can be any child or set to any rule you'd like, HOWEVER, you must follow that same pattern for ALL of them and they MUST be born from your previous heir/founder. So if you want the first child with rainbow skin, then it must be the first child of rainbow skin that shows up EACH generation is your heir. If you want the first girl - it will be the first girl EACH time. Side note: because we're playing on the Short Lifespan, there may come a time where your founder/heir will die before the next heir is a Young Adult. In this case it is ok to have someone step in to be a "guardian" of your heir (should the heir be young enough to where they'd be taken otherwise) however said "guardian's" points will not count towards the total, unless that guardian was the spouse of your previous founder/heir. Objective: Deal with your sims on a short lifespan for 10 generations while trying to make them the happiest and the richest sims you possibly can! Points will be provided for certain milestones and challenges completed. The game is over when your generation 10 reaches Young Adulthood! Add all the points up from previous generations and there's your score! On who can score points: The only people in this challenge who count for points are your direct family. This means your founder and heirs as well as their spouses. Points DO count for siblings/spares of the heir SO LONG AS they acquire said points BEFORE their sibling heir is a YA. For example, if your heir is the 3rd child in the family, then the first two children can earn points up until the day your heir becomes a YA and "takes the torch" so to speak, same goes for any children younger though it will be harder for them. If the spares complete their LTW AFTER the heir has become a YA, that will not count, but if they do BEFORE, then it does! +1 point for each child born to the heir (living or not living on the lot). Adoptive/clone children are allowed but do not count towards this point. Children of siblings/spares do not count for this point, either. +1 point for each Lifetime Wish completed. +1 point for each property bought in full. +1 point for each property that you own being upgraded to level 3/bought out completely in terms of rabbit holes. +1 point for each maxed skill. +1 point for completing all of the skill challenges WITHIN a maxed skill (we call that supermaxing). +1 point for top of careers reached (rabbit hole or self-employment). +1 point for medium tombstones of direct family. +2 points for large tombstones of direct family. Gain money only through self-employment. Have portraits/sculptures done of each of the family/heirs/etc. Have 10 best friends per generation. Genetic anomaly passed on through generations (rainbow skin/certain eye color/species/etc. Specific TRAIT passed down (that you would pick as soon as it becomes available instead of random rolls. Must throw x amount of parties each generation. Anyways, this is the Short Dynasty! I'm currently doing the challenge and am on generation 7. If anyone tries it please let me know! I'll even keep a running list of Short Dynasties below and point counts so we can have a mini hall-of-fame too if this picks up! So one of my spares died prematurely as a teenager and was brought back. After aging them up to young adult, I realized that their age bar says "never." They are never going to age. I can't age them up via birthday cake as I planned to to try and get around it. What should I do in this situation? They are a ghost, but they don't age. Should I send them back to the netherworld when my heiress dies or just kick them out of the house? Just thought I would post it on this thread in case anyone else is having this issue. Ok so, personally I say it's up to you. I live on a play-for-what's-fun. I GUESS you could count how many days there are for her and keep track that way, but personally I wouldn't have the time nor energy for that. I say letting her go back to the netherworld whenever her sibling does would work perfectly - or really whatever works for you. Seeing as they're a spare, they won't actually count for points after your heir reaches YA, so it's not like you'll be GAINING anything out of her being there, save for one spot less in your household. So, you know, play as you will!